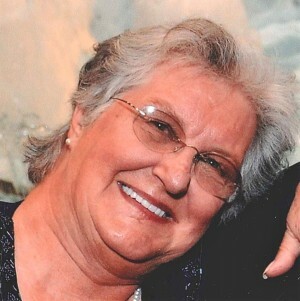 Ida Eileen Florence Beavers Keener, 76, passed away Thursday, April 4, 2019 at McLeod Health in Cheraw. Born January 2, 1943, in Castlewood, VA, she was a daughter of the late Howard and Mattie Caroline Belcher Beavers. She was a Homemaker and of the Baptist Faith. Mrs. Keener enjoyed crocheting, completing puzzles, reading, watching westerns, gardening, listening to Elvis and southern gospel music. Mrs. Keener is survived by her husband, John Clair Keener, Jr; sons, Leonard Rynes (Thelma) of Canton, OH, John B. Keener of Charlotte, NC; daughters Jackie Baker of Bennettsville, Sherry “Ashley” Lynn Rynes of Branchville, SC, Georgia Rynes of Randolph, OH; grandchildren, Christal, Bobby, Michael, Kevin, Katie, Devon, Daniel, David, Dominique, Destiny, Jacklyne, Christopher, Aaron, Brooke, ,Dillan; 34 great-grandchildren. She was preceded in death by her parents listed above; daughter, Della Virginia Tate; her brothers and sisters. A funeral service will be held at 3:00 p.m. Sunday, April 7, 2019 at Burroughs Funeral Home with burial will follow in Rogers Cemetery in McColl, SC. Visitation will be held from 6 until 8 p.m. Saturday, April 6, 2019 at the funeral home. Memorials may be made to the American Heart Association, 181 E. Evans Street, Suite 200, Florence, SC 29506. Burroughs Funeral Home is honored to assist the Keener Family.